It’s inevitable that this time of year will be approaching, so where in the world do you begin preparing your students for the inevitable days that lie ahead? 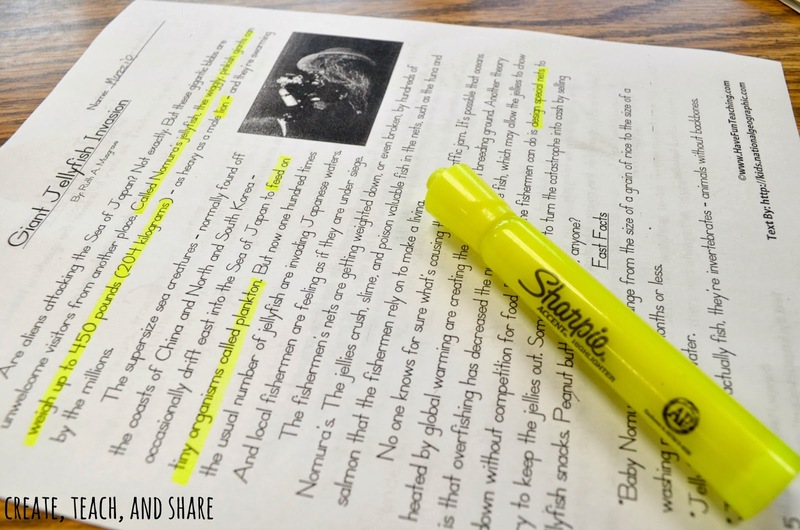 As teachers, we know it’s a daunting task to prepare your students for the statewide exams, but if done correctly, it can be done, in my opinion, with minimal stress on both the students and the teachers. I am certainly no expert on this subject, but I can offer some insight on how I prepare my students, as well as share some suggestions from other teachers that I have spoken to about this particular topic. So sit back, read, look, enjoy…and hopefully gain a new tip or two in preparing your kiddos for their exam days ahead! Set the stage and do it from the start! There always seems to be a certain “get down to business/crunch time” prior to taking the statewide exams. I think that this is something that will always be in place, but if we practice the core skills from the very start, it won’t be as daunting on our students when test time comes. What does this mean? 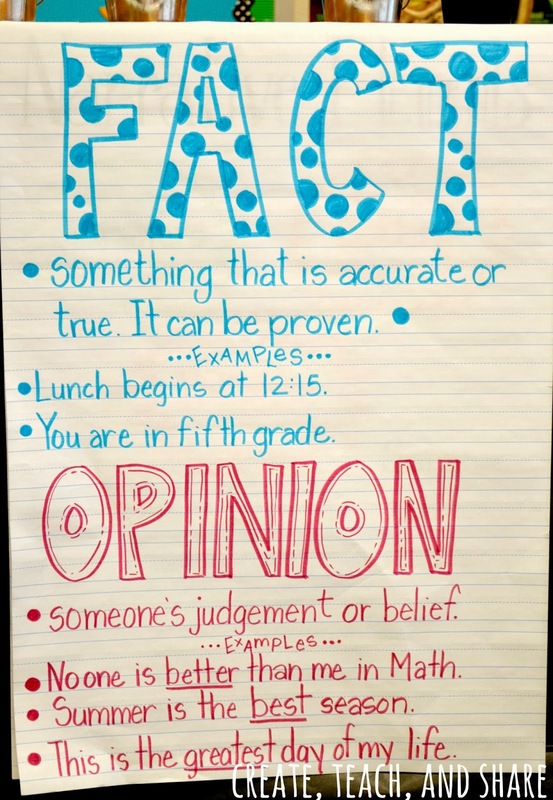 In fifth grade our students will be testing in Reading, Math, and Writing, so from the beginning I will give my students tips on how to test, such as reading the questions first, highlighting information within the text, brainstorming ideas, practicing the writing process, and eliminating choices that are clearly wrong. Although a simple practice, if done from the very beginning of the year, these exams will become more of an “everyday” happening in our classrooms, rather than something special for a few days in the spring. 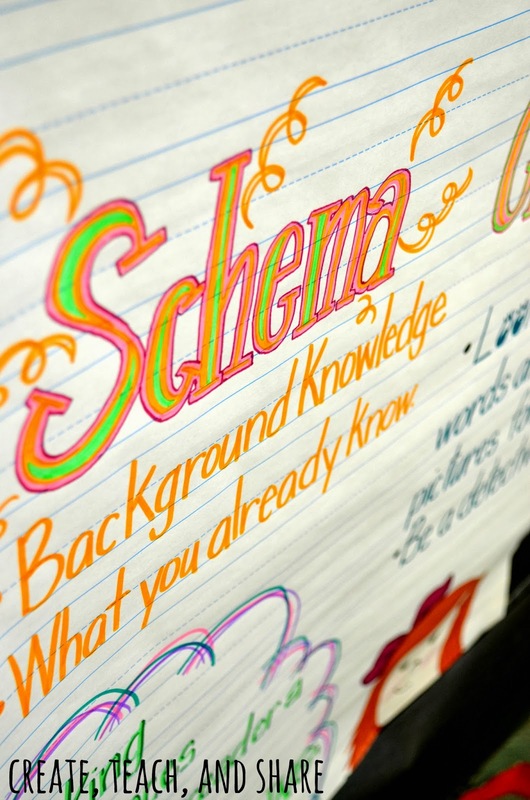 Something else that I do from the start is create visual aids that will stimulate student thinking and understanding. My students look forward to seeing what I will create next! Data collection is a wealth of information, organization, and technology love! At the beginning of the year, I give my students a sort of overall exam in both Reading and Math. This exam assesses my students’ strengths and weaknesses and gives me a baseline of where to begin. This data can be collected for both individual and group understanding. What’s the best way to collect data? Well, I have a couple of tricks up my sleeve! 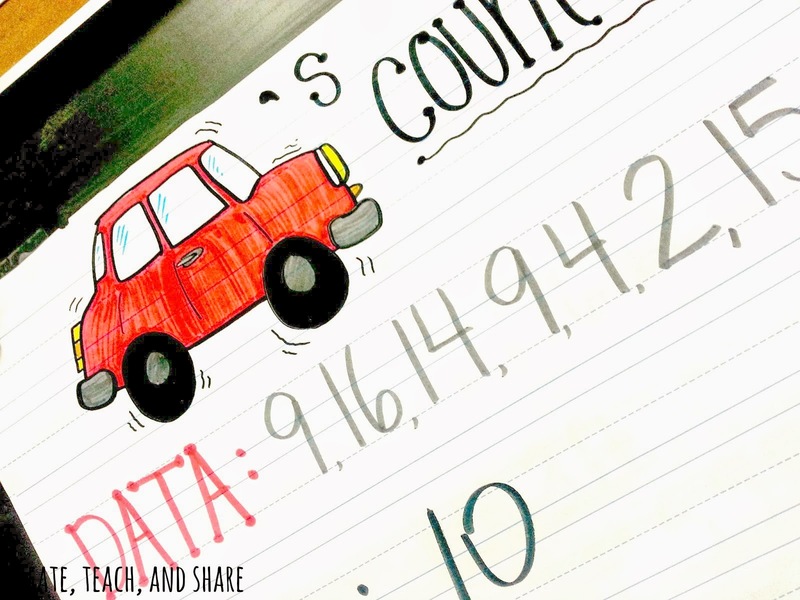 I use something called Student Responders in my classroom to collect student data. My kids LOVE using them and LOVE seeing how they are doing as a group. If you’re not familiar with this technology, see my pictures below. I use the responders on multiple choice problems. 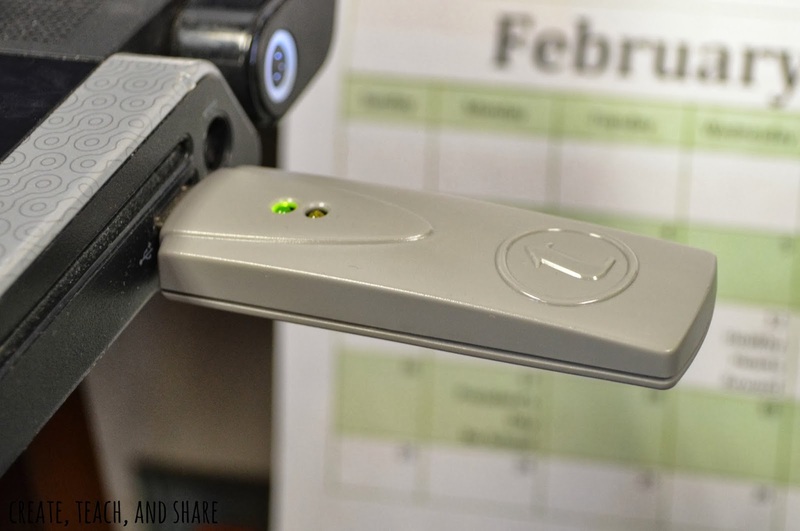 This device is connected to my computer through a USB port, which feeds through my computer, into my projector, and onto my SMARTBoard! Woo hoo!! I LOVE technology! 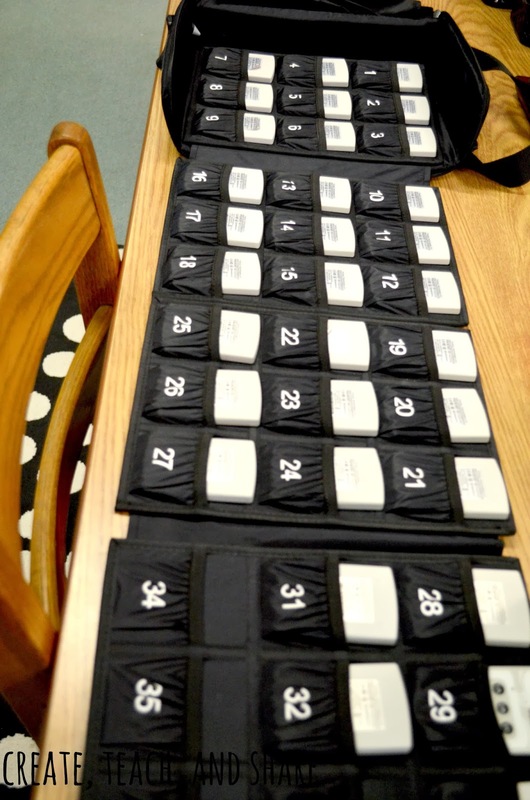 It produces an instant bar graph, which produces percentages of students who got each question wrong or right. I take notes and record the percentages from this data. I give this same exam two more times. After the initial pretest is given, another one will be given in December/January. I look for obvious improvements from the first assessment. I give it a third time a couple of weeks before the exam so that I can “hit” those areas a little harder up until the test. 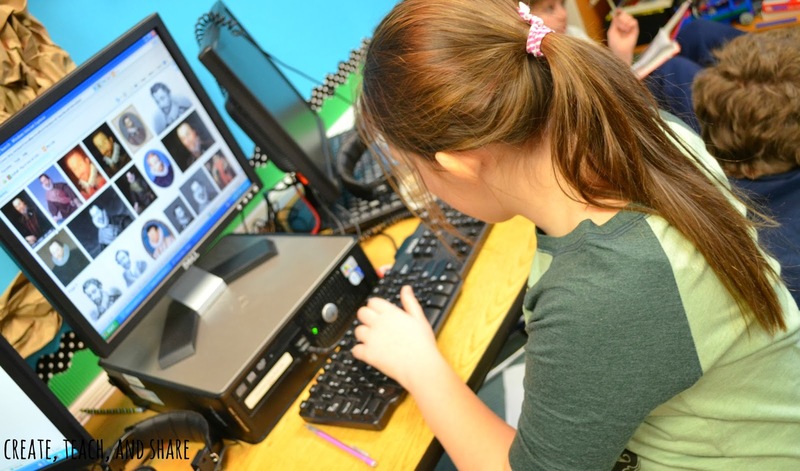 Create an atmosphere conducive to learning! If you walked into my classroom, chances are that my kids wouldn’t be in their seats, unless I was doing the inevitable whole group teaching that must have its place in the classroom, as well. 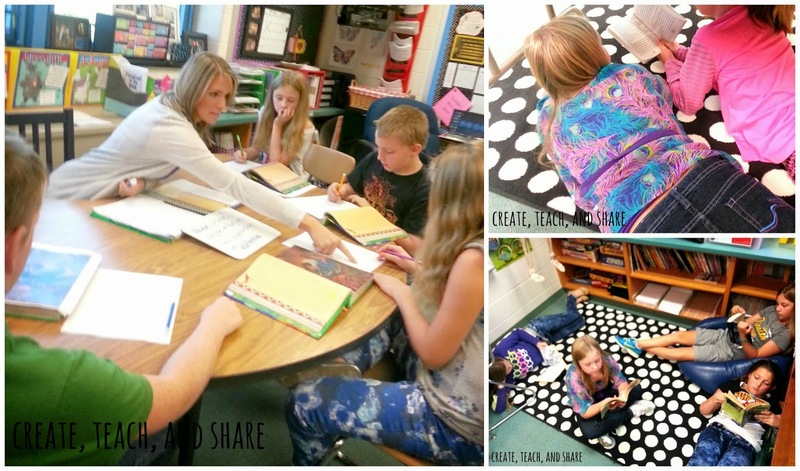 You would see my kids working with centers at their seats, in a small group setting with me, tucked away in our classroom library corner on a bean bag, or under the table in the front of my room. Laid back? You bet! I treat this room as our second home, and my students know that they are safe and welcomed in this space. I feel that this sets the tone for a more conducive learning environment and, in turn, opens up their minds to learning a bit more without the stress of hard seats and cold desktops on their arms. How does this prepare my kids for the state exams? Well, let’s focus in on some core skills for a moment. This time out of our seats allows their minds to relax and focus on the task at hand. 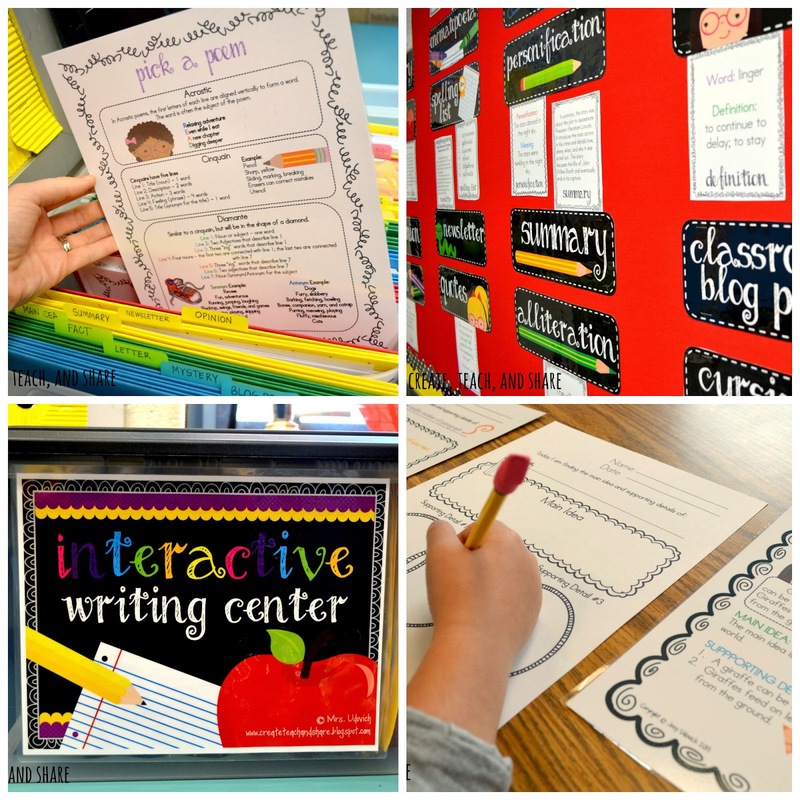 My students are working with my Interactive Writing Center, which is a student-led task that allows them to focus in on both writing and key ELA skills. It offers step-by-step instructions, kind of like having the “teacher in the box,” if you will! 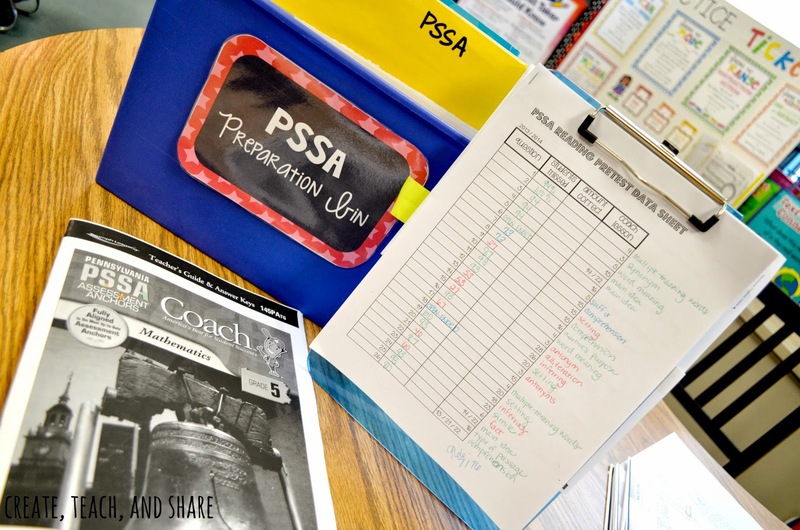 They grab their task from the center box, which holds detailed examples and instructions for the students, as well as the student response and task sheets. They are also working on our latest task cards for math and are working with me for small group focus time. It’s wonderful! 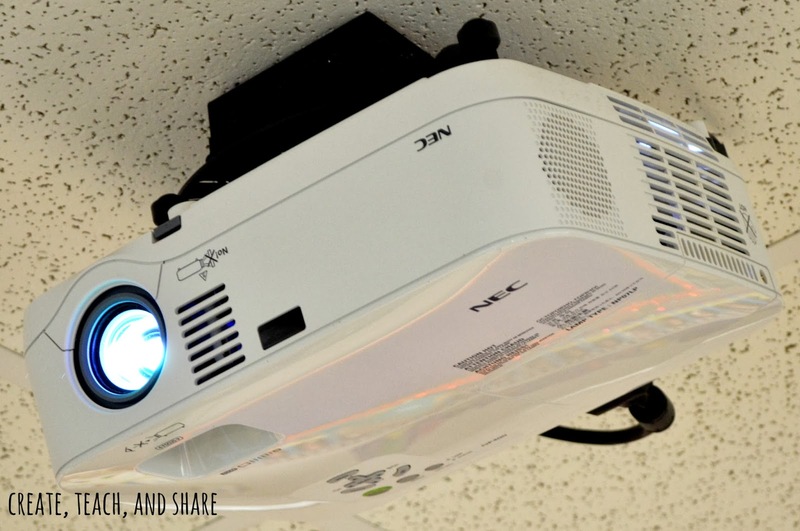 Boring is a thing of the past…a bit of free choice and a lot of movement make for a pretty cool classroom! Attendance is the first step in the right direction of doing well on your state exams, but how do we get our students to come to school? I’m sure that we can all agree that our students respond best to positive reinforcement and encouragement. My goal for each year is to have my students look forward to coming to school. Here are some things in which I have found success. My number one motivator for both attendance and completing homework is my Homeworkopolyboard. 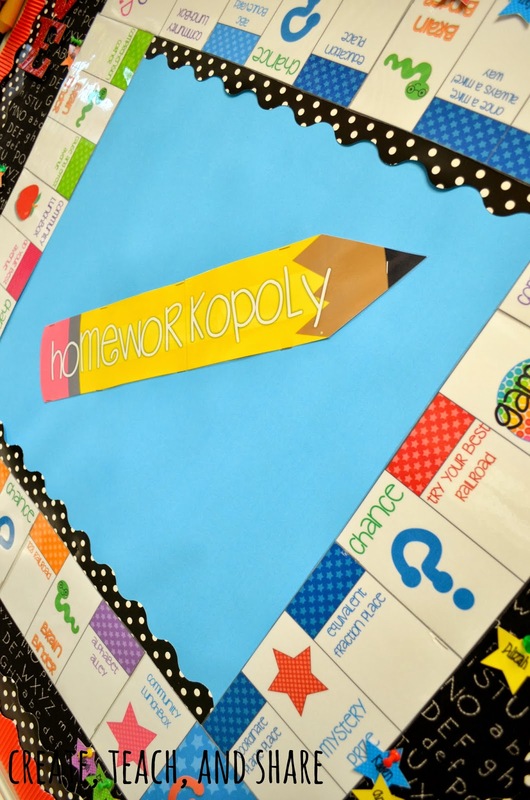 This is a fun reward system that encourages students to complete their homework for a chance to roll the die and move their game piece on the board. My students earn everything from special classroom privileges and getting a piece of candy from our prize box to choosing a price from our “Mystery Bin” and earning two extra bonus points on a test of their choice. They love seeing where they will land each day, and I can say with 100% certainty that this has improved overall homework completion and student understanding. I also do small, quick rewards during class, such as having a piece of candy in my pocket and tossing it in the air to the student that is actively participating in class and getting the answer correct. They LOVE this! Create a “You won’t believe what we’re doing on…” board that gives your kiddos a preview of fun things to come in your classroom. 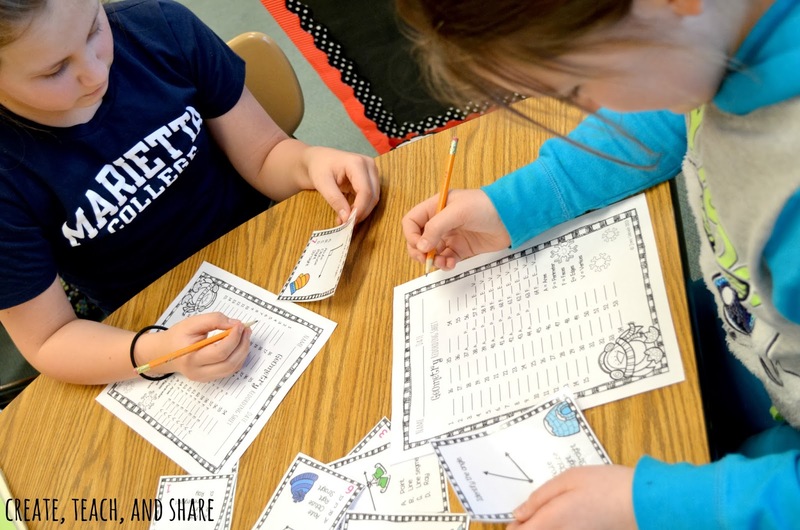 Create “Perfect Attendance” tickets that you can pass out every Friday for students to cash in on small classroom prizes. 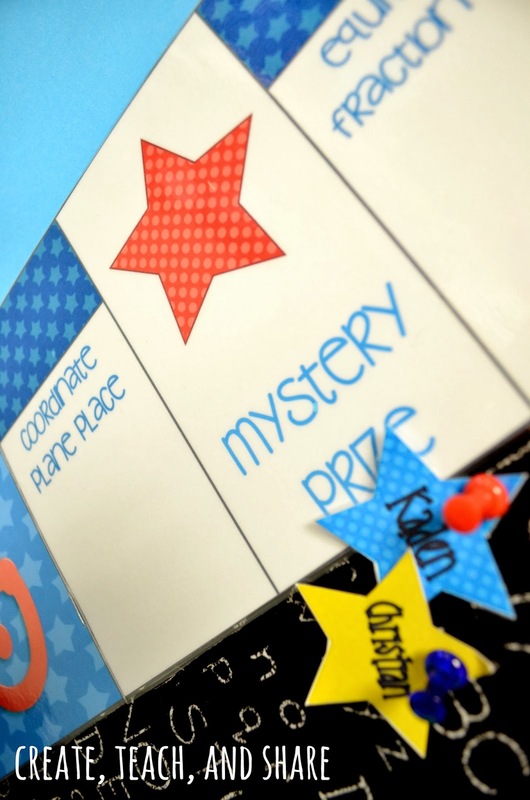 Create a bulletin board or sticker chart that keeps track of attendance and allows students to get rewarded for attending school. The possibilities are endless, so be creative, and I’m SURE your students will be more willing to come to school! Add a little fun to it! 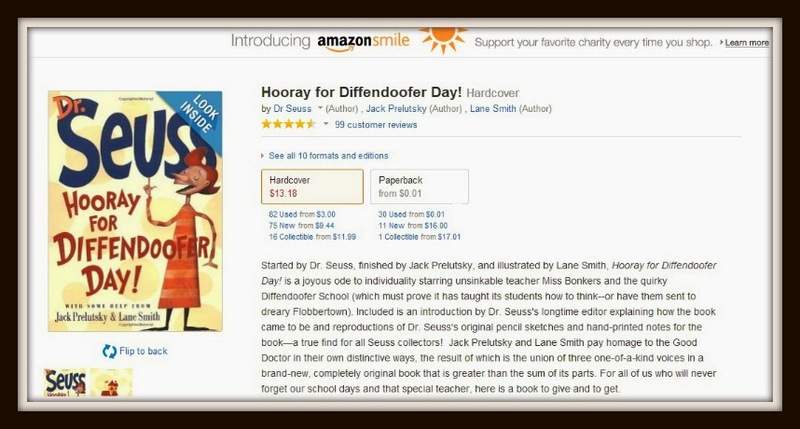 If you’re looking for a book to read to your students that would be PERFECT for the big exam, I highly suggest Hooray for Diffendoofer Day! by Dr. Seuss. It’s a perfect fit! Click on the picture and follow the link to Amazon. I have also attached a YouTube read-aloud so that you can listen to it now. 🙂 Simply Google the title of the book for a plethora of activities that you can do with your students! 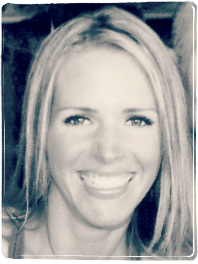 I’m going to end this post by thanking Rachel for this opportunity to share my ideas and what my little classroom does to prepare for our statewide exams. I take great pride in being able to both get ideas and share my own with a world full of wonderful educators, so thank you for reading! Many blessings and best wishes to you on this year’s exam! Love this post!! I agree that test prep needs to happen all year long! When I see teachers get into a panicked "crunch" during the last month, I wonder how their students feel. I would much rather work hard all year long than get into a panicked mode at the very end. Great post! I'm pinning it now! I love all of the ideas presented here! 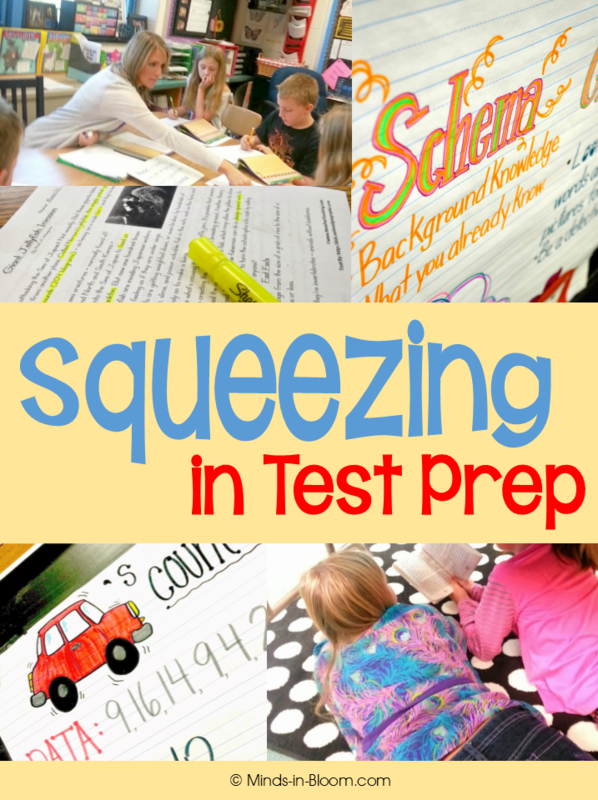 The idea of doing test prep all year long is one I firmly believe in! I work hard with my students to ensure that they aren't overwhelmed the last few months of school. Thanks for sharing! 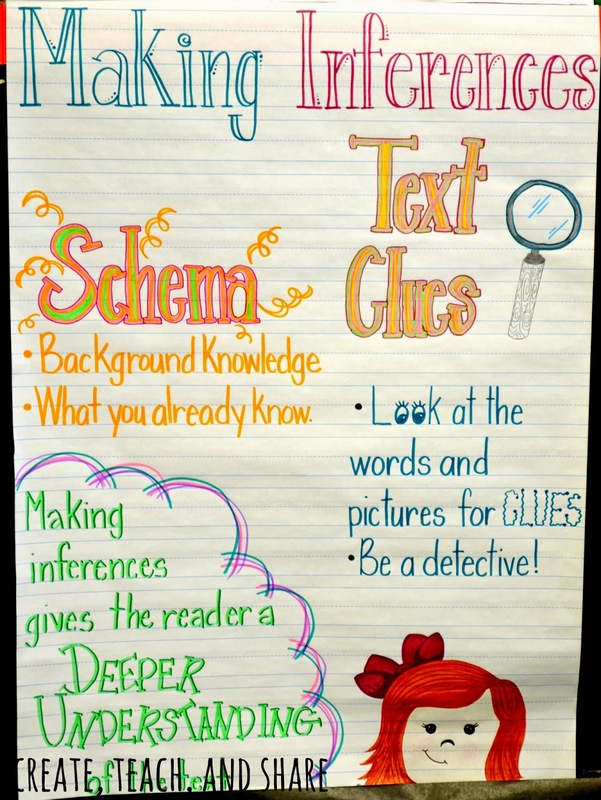 Great ideas, I will be sharing these with the teachers in my building who are in the testing grades. Thanks! Great ideas! I do a lot of similar things. 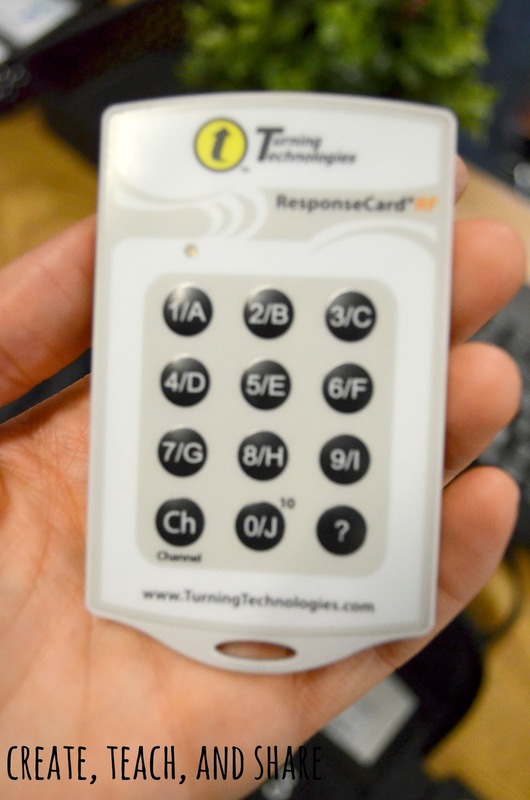 I love the idea of "You won't believe what we're doing on…"
Where do you buy student responders? Was trying to search for them but havent found what looks similar to what you are using. Thanks! NM I saw the pic with the website lol. What type of input device do you use. I'm sure prices have changed but were they reasonably prices or very expensive?